No doubt you’re aware that messaging is on the rise, and that a growing number of consumers are turning away from publicly sharing their thoughts and experiences on social in favor of more private online discussion. In recent times, the top four messaging apps have overtaken the top four social apps in terms of overall usage, and that trend has shown no sign of slowing in 2018. Privacy scandals on Facebook, creating a public digital history that can be used against you, being judged for your opinions on social apps – all of these factors have, increasingly, pushed more discussion, and time spent, into messaging apps. But what you may not be as aware of is the impact, and potential, for brands within this shift. 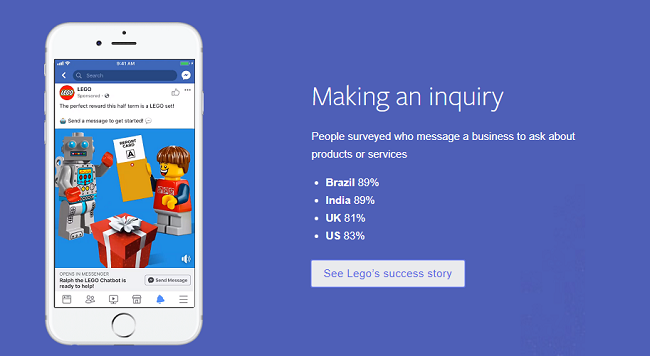 As we head towards the holiday season, Facebook has published a new report which examines the messaging shift in more detail and looks at how significant it actually is for businesses, and what consumers are looking for when connecting with a business via message. The report, which incorporates feedback from more than 8,100 people across Brazil, the UK, India and the US, highlights some pretty compelling usage stats. Here are the some of the key notes. 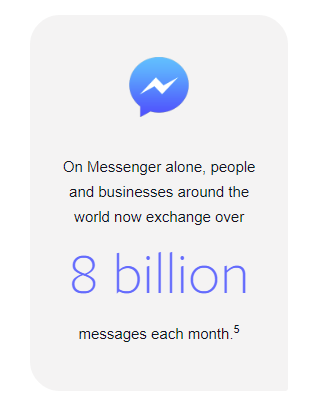 First off, a key stat which Facebook has shared previously is that more than 8 billion messages are now being shared between users and businesses on Messenger every month. It doesn’t seem like Messenger has become a key business hub, with Facebook’s push on Messenger bots, in particular, seemingly falling short (worth noting, there are more than 300,000 active bots on the Messenger Platform). 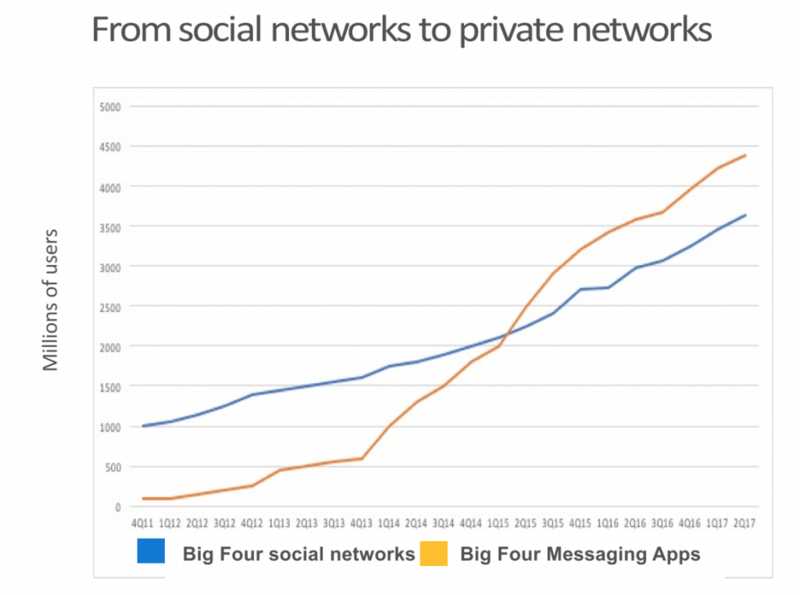 But in combination with increasing messaging app usage, this shows that there is actually a significant, and growing, amount of business activity happening within them, which may present new opportunities. So what are users looking for from brands via message? According to Facebook’s research, the most common consumer/business exchanges via message relate to product queries, as opposed to making a booking/purchase or get product support/assistance. A growing number of consumers are also using messages for product support and to make purchases, but the key use case is to give prospective customers an easy way to get immediate, additional info on your products, in order to help them move through to the next stage of the purchase journey. An important consideration in this respect is that as more brands start to offer such capacity, the general expectation will grow – if they can ask your competitor for additional info via message, but not your business, that could increasingly be seen as a negative, which is in variance to seeing direct messaging as merely an add-on experience. As the messaging experience improves for such transactions, consumers are becoming more comfortable, and eventually more reliant on it, which is important to note for those considering whether to add messaging to your process. The desire for immediate, helpful information is again underlined as a key driver of messenger commerce in Facebook’s further notes. While Twitter has become something of the default for customer queries (with the public nature of tweets adding to the leverage consumers have to push for faster resolution) and direct purchases still more regularly conducted in-store of via dedicated eCommerce platforms, messaging, based on these stats, is an evolving complimentary channel which helps to provide information, and build relationships, on the platforms where users are increasingly present. And once you’re facilitating that first stage, there’s increased opportunity to cater for those other use cases too. If you’re not sure about going ‘all-in’ on Facebook Messenger, the research here shows that there’s likely significant value in offering messaging as a quick connection option for such purpose, and tools like Facebook’s Messenger website plug-in could be a great compliment to your overall efforts in this regard. As you can see, the value of enhanced brand connection, facilitated through messaging, can be significant – so while you may not see it as an all-in-one eCommerce channel, fueled by bots and automated all the way through, there is growing opportunity to offer messaging as a more up-front, immediate way to connect. There are some interesting considerations here, and definitely, they help to highlight the potential value of messaging for business. You can read Facebook’s full ‘Messaging is Transforming the Path to Purchase’ report here.